Akshay J. Parab, UCR of the fourth year B. Sc. (Agri) at the Don Bosco College of Agriculture (DBCA), Sulcorna-Goa, is a recipient of the "Excellent Agri Student Award-2018" to be among the Top 36 Agri Students in Maharashtra & Goa. The award was presented at the 13th annual KRISHITHON International Agricultural Trade Fair & Conference held in Nashik, Maharashtra. 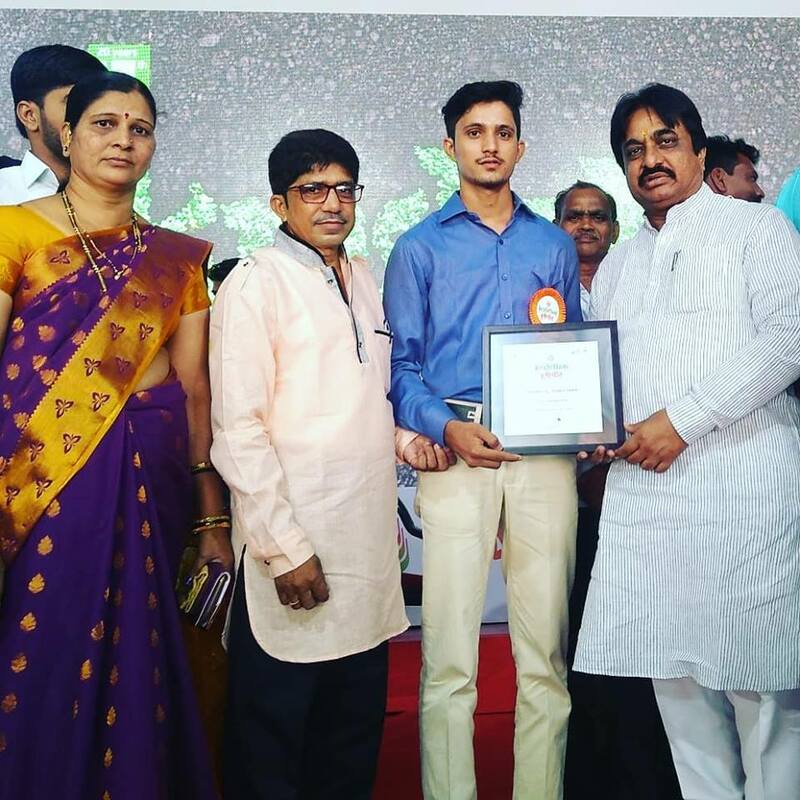 Credit for Akshay's success goes also to your parents, the DBCA-Sulcorna, as well as the teaching faculty, support staff and fellow students for providing the right environment to produce a topper. Last year Akshay was the winner of the Prof. Jose Rui Pacheco de Figueiredo Merit Award at DBCA-Sulcorna for topping in the second year and is now expected to receive the same award this year also for best academic performance at the end of the T.Y. B. Sc. (Agri).